Black History Month is here — and we must declare Black Lives Matter well beyond any one month. Dr. Phil Thompson shares some important facts and insights in a recent article in the New Labor Forum, “The Future of Urban Populism: Will Cities Turn the Political Tide?“ He clearly lays out that the generations of inequality and disparate opportunities between the races stems from capitalism and its use of race as a tool to create and maintain the underclass, slavery, disenfranchisement, mass incarceration, poverty, low mortality rates and economic injustice. This article was originally featured at Truthout.org. Reprinted with permission. The year 2008 was when the big banks were bailed out, but it was also the year that catalyzed one group of window makers into democratically running their own factory. On the former industrial hub of Goose Island in Chicago, the employees of Republic Windows and Doors made headlines after they were locked out of their jobs just before Christmas without the back pay or severance they were owed. Organized by the United Electrical Workers Union, these displaced workers did exactly what the ownership hoped they wouldn’t do. They refused to quietly accept the layoffs. Instead, the workers engaged in a sitdown strike at their factory, garnering local and national media attention. Eventually, the employees won the occupation, forcing Bank of America and JPMorgan Chase (Republic’s primary creditors) to create a fund to give the workers their back pay, benefits, and health insurance. This became viewed as a much-needed victory for workers and unions in a desperate economic time. 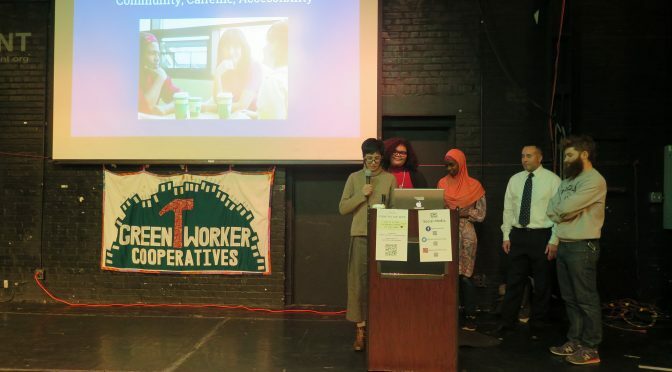 Want more on worker cooperatives, solidarity economies, and the role of organized labor? Join us at the Murphy Institute on December 4th for our upcoming Labor Breakfast Forum, Solidarity Economies: Worker Coops. This article originally appeared at Grassroots Economic Organizing. 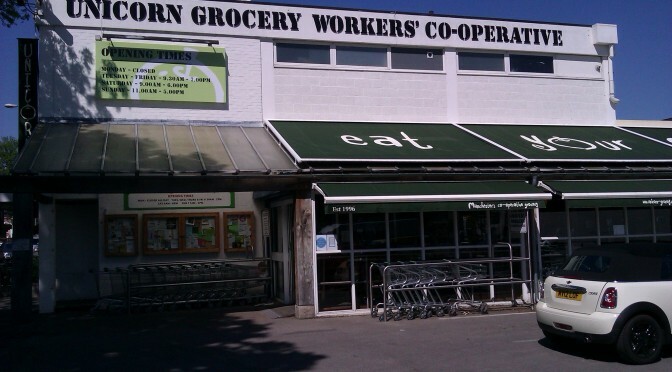 In the 1980s, the British government supported a comprehensive system of local worker cooperative support organizations (CSOs). The first CSO was formed in Scotland in 1976. By 1986, approximately 100 CSOs spotted the country — with higher concentrations in urban areas. About 80 of these CSOs were funded — mostly by local municipalities — with full-time staff at an average of three employees. In tandem, Parliament chartered a national “Co-operative Development Agency” with a 1978 bill — which aided the growth of local CSOs, served as a “safety net” for regions without CSOs, collected statistics, and acted as government liaison with regard to new legislation. This article was originally featured at Yes! 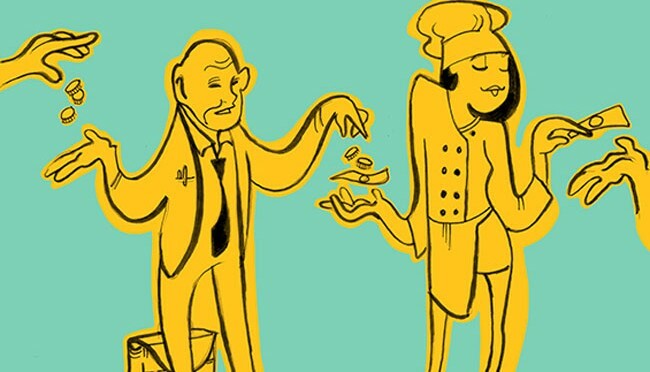 Magazine and adapted from Cities Building Community Wealth, a project of The Democracy Collaborative, for New Economy Week. In cities across the nation, a few enjoy rising affluence while many struggle to get by. An August 2015 study by The Century Foundation reported that—after a dramatic decline in concentrated poverty between 1990 and 2000—poverty has since reconcentrated. Nationwide, the number of people living in high-poverty ghettos and slums has nearly doubled since 2000. This situation is created in part by the practices of traditional economic development, which prioritize corporate subsidy after corporate subsidy over the needs of the local economy. Current trends threaten to worsen, unless we can answer the design challenge before us. On March 30th, the Murphy Institute hosted “Building a Worker Coop Ecosystem: Mondragon Meets the Five Boroughs,” a public conversation featuring Frederick Freundlich of Mondragon University and moderated by Stephanie Guico.